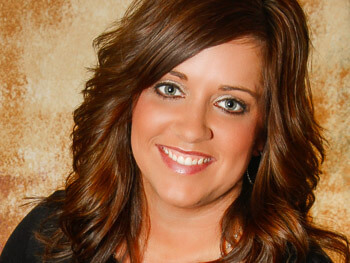 Dr. Chelsa Winheim-Wolf of Heartland Family Chiropractic, P.C. Growing up, Dr. Chelsa always knew she wanted to help people feel better and live healthier lives. After learning more about chiropractic and the self-healing philosophy behind it, she knew it was the perfect career for her. Dr. Chelsa attended and graduated from the renowned Palmer College of Chiropractic in Davenport, Iowa, where she had the opportunity to learn from world-class professors and chiropractors alike. While here, Dr. Chelsa honed her skills in the Gonstead Technique, often referred to as the “gold standard” in chiropractic care. Dr. Chelsa has seen numerous patients in her care come into the practice feeling down or uneasy, and leave happy and content after an adjustment. However, no story compares quite to that of her own brother, who was in a horrific care accident that left him in the hospital for five weeks with many broken bones and a hip infection. His doctors had wanted to perform an invasive surgery on his hip, but Dr. Chelsa knew that with the infection under control, her brother’s body was capable of healing itself—exactly as it was designed to do. If it weren’t for Dr. Chelsa standing up for the body’s own powerful self-healing abilities, the doctors may have forced her brother to undergo an unnecessary surgery. Now, her brother is a happy, healthy, 30 year old expecting his first child! Whens he isn’t helping families live healthier, happier lives in the practice, Dr. Chelsa enjoys spending time with her husband and step-daughter, who is extremely active in sports. In the family’s spare time, they like to travel, camp and have fun in one another’s company. Get to know more about Dr. Chelsa when you book your first appointment at our practice!